Solomon is writing the book of Proverbs to teach his sons about wisdom. Wisdom is not the same as knowledge. Wisdom discerns how to use the knowledge we gain. Proverbs is not a book about promises, but a book about principles. We are not promised a stress-free life if we obey these commands. 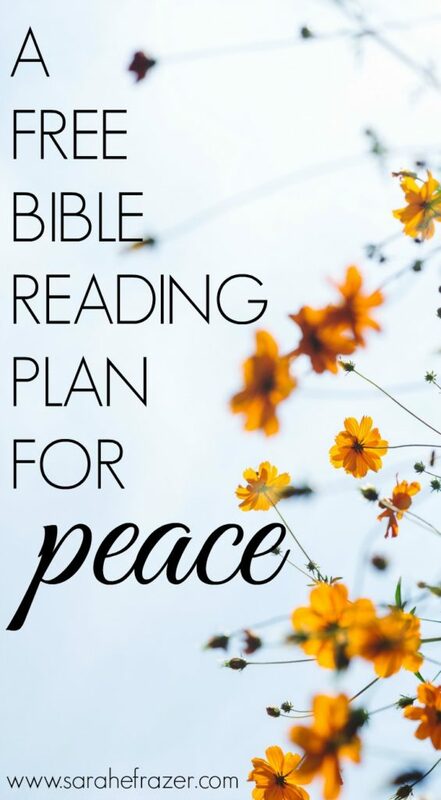 Instead, God says we will have trouble…but we can have peace in the trouble. I love to plan and I’m really good at it! I plan meals. I plan trips to the store. I plan vacations. I plan my days. I plan things at church. I love to organize as well. I organize the shelves in my pantry. My sheets are organized by size in my closet. Of course all of my family’s clothes are organized. School supplies and books organized. One time I even took all of my kid’s books and organized them by color. It was a beautiful, colorful rainbow bookshelf. Unfortunately it lasted ten minutes. My perfectionist habits have one major stumbling block: People. (Ok, it is mainly my children.) As a mom, perfectionism is torture. Having everything perfect is impossible with children. Any mom can tell you that. Whether you have one child or ten, I can’t seem to have things “perfect.” As we added each child I felt control slipping slowly through my fingers. It was unnerving to my control-freak ways to have children mess up my well-planned life. My meals no longer included rare and exotic ingredients. Most of the time, four o’clock rolled around and you could see me staring into the fridge wondering what I could make with the sparse ingredients inside. More than likely you will find me making pasta with butter and cheese because that’s what my children will eat. My household chores are now done haphazardly with no amount of routine. I do laundry almost every day. I have to rewash loads several times because I forget it in the washer. My floors look like someone crushed every type of cookie and sprinkled the floor with the crumbs. I go to bed late. I get up early. Life is mostly a mess. I prayed for peace and my house was still messy. I prayed for peace and my house was still messy. It finally occurred to me: Control was never going to bring me peace. It is wisdom. I don’t need my children to obey, I need wisdom in how to respond when they disobey. I don’t need help with cleaning my house, I need wisdom to know what can wait and what I need to do. Knowing God and keep His law will bring peace. 1. How does wisdom bring peace? 2. Where do you need to obey God today? 3. How can you keep God’s commandments today, to bring you peace today? 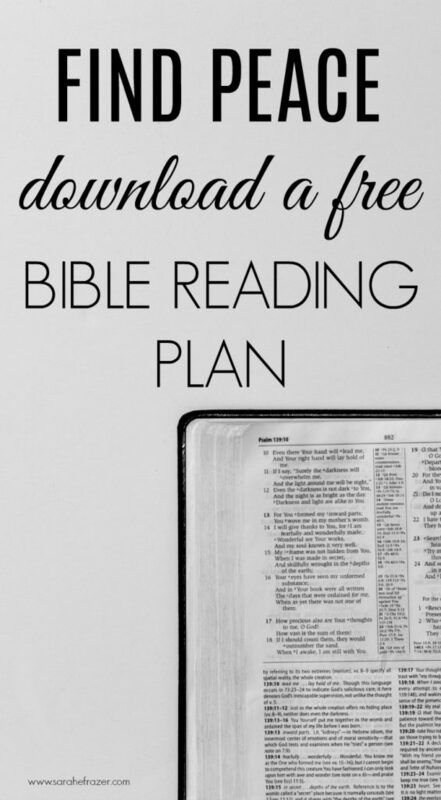 Download a free Bible reading plan on peace! 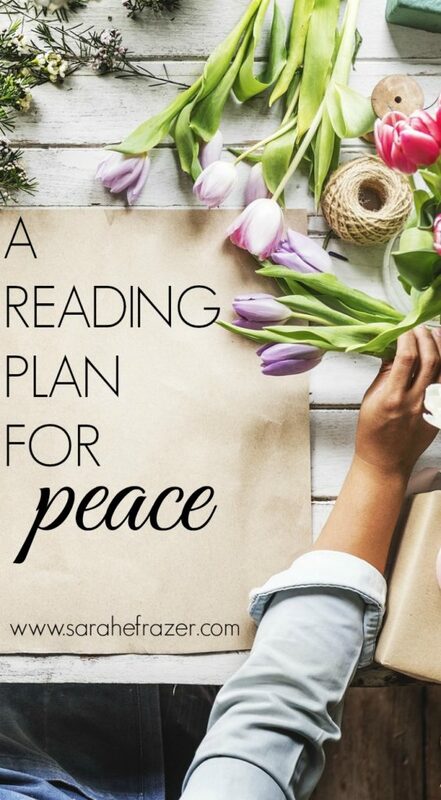 Download your FREE peace reading plan! ((beautiful work, Sarah! 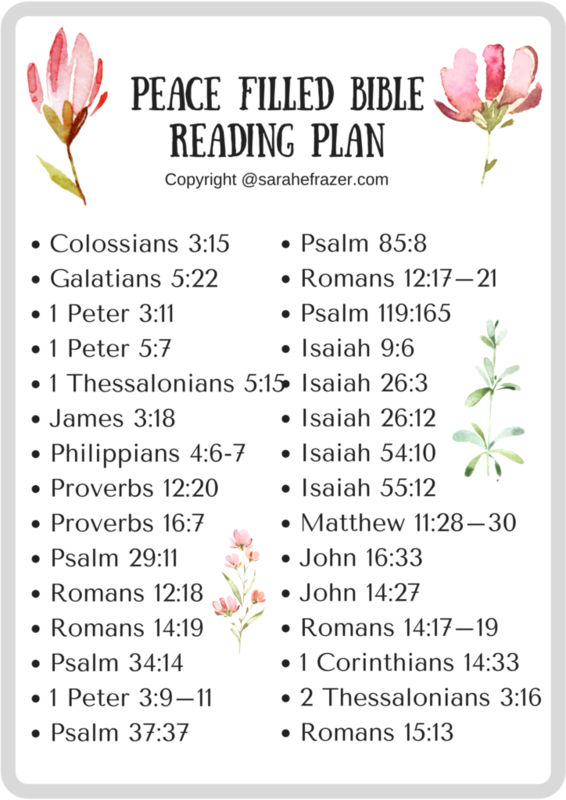 Is the Prayer plan like a Scripture each day? They’re not numbered…. or maybe it doesn’t matter 🙂 Thanks.